When am I not a “new mom” anymore? I spend a lot of time reading advice for new moms, or reading things for new parents. Still, even expecting baby #3, I’m doing this. It must be because I know that I haven’t done everything perfectly. It must be because I’m still new at having a three-year-old. It must be because I’m fairly new to having two kids. I’ll be new to having a third kid (in two months). There’s always something we’re going to be new at. Can you really be a seasoned mom at everything? Whether you’re a new mom because you just delivered your first, or you’re a long-time mom who has a few adult children, there’s always something to remind you you haven’t done everything yet. Taking your first vacation as a family of four can be as brand new (and difficult) as the day you brought your first home from the hospital. Moving your toddler to a big boy bed can be like having a newborn again who won’t sleep through the night. First middle school dance, first high school prom, and first college formal sound similar, but require different tools (and feelings) in your mama arsenal. Even doing the same thing with each of your children can be like night and day. Sending a child to college is different with every child, since they’re all going off to different schools in different locations in different situations. Marrying off a daughter feels different than marrying off a son, so if you’ve done one, you might be new at the other. Sending off or marrying off your oldest is a totally different experience, I’m sure, than doing so with your youngest. 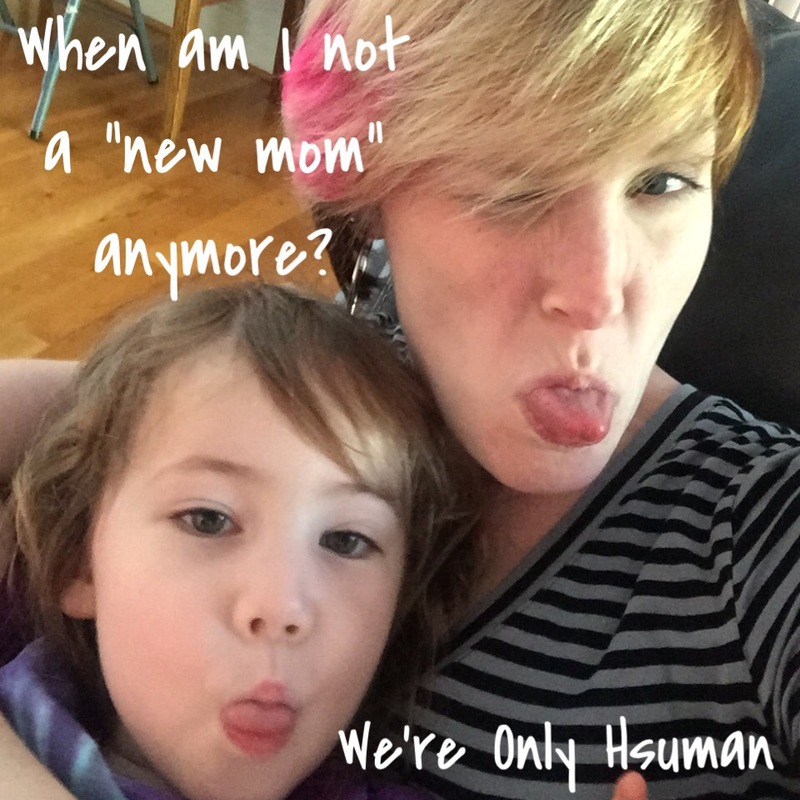 This year, my big thing I was new at was being a stay at home mom. I’ve been learning every day (every.single.day.) how to walk in this role effectively, gracefully, and comfortably. This is a big one for me. I identified a lot as a working mom for my first two years of motherhood. I had friends who did it that I could get advice from and vent to about things. I had the best of all possible situations, because my daughter (and then my son) stayed home with Daddy. There were still frustrations, sad things, and hard things about not being home with them. And, there were also great things about it. Sorry I’m not sorry I just wrote that. There were things like missing the tantrums, not being super stressed about missed naps, not seeing them get their shots at the doctor, or being able to kiss the sick kid on the head, and go to work, instead of dread a fussy day of remembering to give doses of Tylenol on time. I loved having a purpose outside of the home. I still do. I work part-time now (roughly 5-8 hours a week outside the home and several more inside) and I love having that outlet, that reason to leave the house, and the fact that I have the best of both worlds: a job that I love, and the opportunity to spend tons of time with my kids. But the newness of being a SAHM hasn’t worn off. My kids are always entering new phases in their development, and I’m always catching up and learning the newest thing they do. My daughter is potty-training. One can NEVER be an expert at potty-training. That mess is REAL, y’all (emphasis on mess). My son has learned to climb up and down and all over everything, even in ways my daughter still doesn’t care to do. It’s taken baby-proofing and knowing where he is at all times to a whole other level (think never being alone because I have to be watching him). I’m still new at it. I’ll probably feel, for a little while, new at having a newborn, because breastfeeding, sleep cycles, teething, and growth patterns are different with every baby, and I’m sure the third baby won’t have as much of my undivided attention as even my second one did. It’s just the nature of the beast – no pun intended. When you feel like you’re new at something, it’s okay. You’ll figure it out. It’s in your nature to find the best way somehow. We’re built for it. You have some motherly instincts, down in there somewhere – sometimes I really felt like I was digging to find mine. But I love my kids. And that makes me a good mom, no matter what stage of mothering I’m in. Previous Post10 More Tips for Soon-to-Be MomsNext PostCurrently – Thank Goodness It’s Summer! I just got done reading All Joy and No Fun, which I highly recommend. It’s about the paradox you allude to, that the day to day stuff can be a real drag in the moment, even though the overall experience brings joy. I’m also about two months shy of a baby, but for me it’ll be my first! Best of luck. Thanks for the suggestion! I love getting book recommendations. Good luck with your last two months! Do you know what you’re having? Nope! It’ll be a surprise 🙂 How about you? You’re so brave! Hubby and I are planners and found out with all of ours 🙂 this one is a boy!